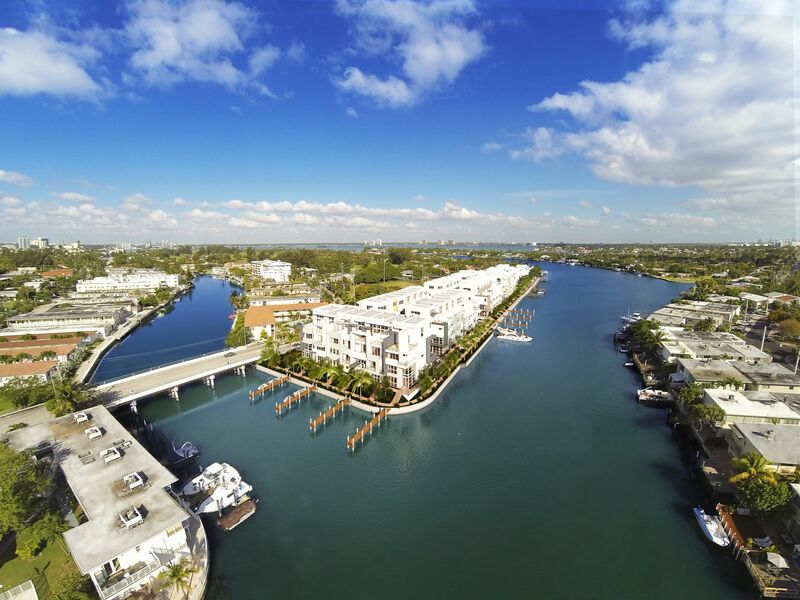 IRIS on The Bay is the newest secured residential community, consisting of 43 magnificent townhouses, located in the south-eastern end of the island of Normandy Shore in Miami Beach. 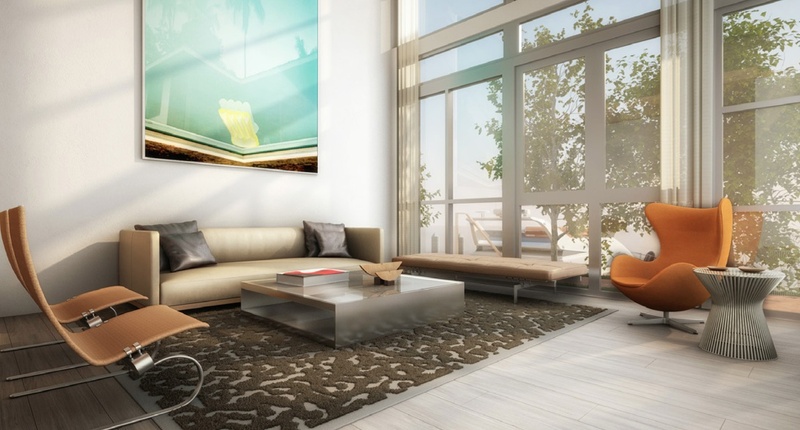 Wonderful four-story townhouses at the shore of Biscayne Bay offer unsurpassed level of comfort and style. 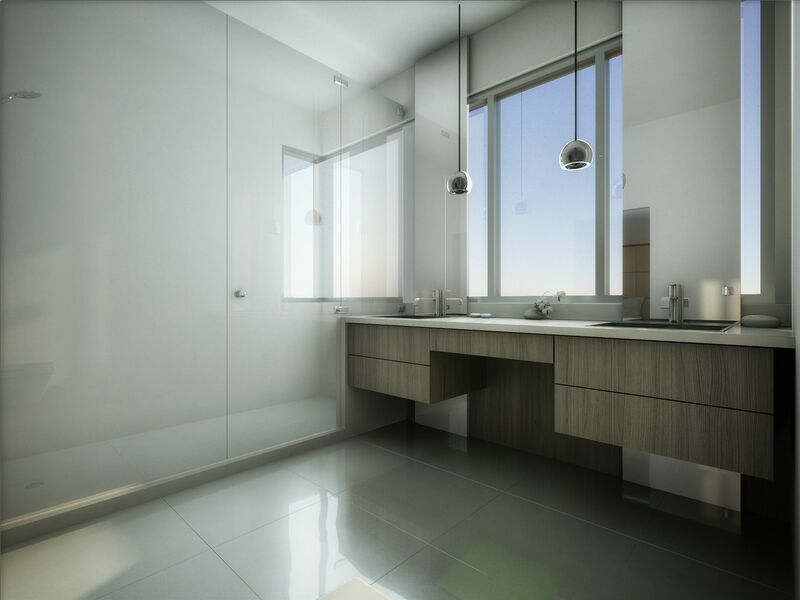 The three-, four-bedroom residences feature inner living space with an area ranging from 2,152 to 2,513 square feet, as well as extensive balconies. In addition, all townhouses boast of private roof terraces with summer kitchens at pleasure. Each residence has a private elevator and a garage for two cars. 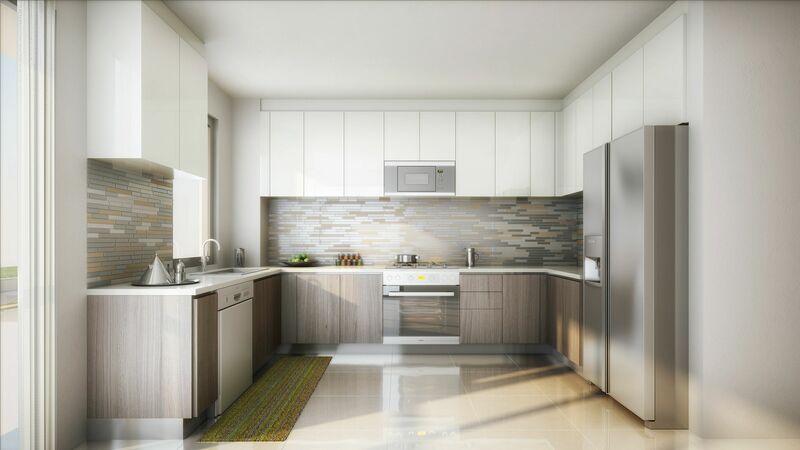 Modern kitchens are fully equipped with elegant furniture, elite household appliances GE Monogram, bathroom equipment Kohler, bathroom mixture taps Franke and quartz countertops. 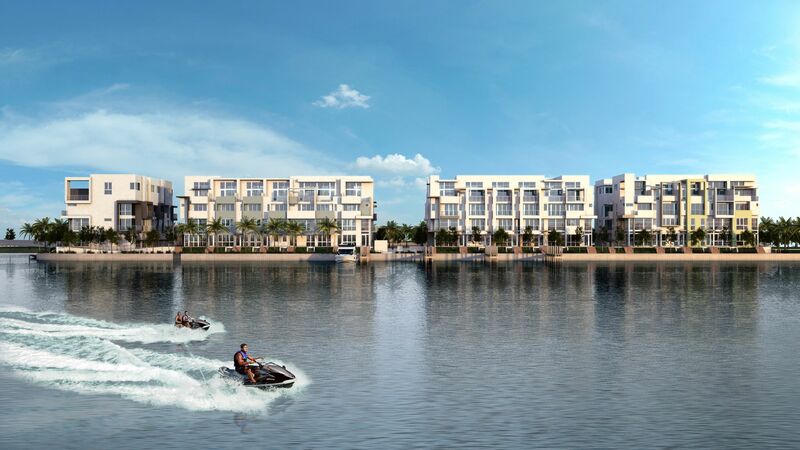 Residents of the community have an access to the beautiful swimming pool with the view of the bay, the promenade and 15 yacht and boat slips. Golf, tennis, basketball courses, children’s playgrounds and plenty of green areas are located in the close vicinity. The beach and the Atlantic Ocean are within walking distance. 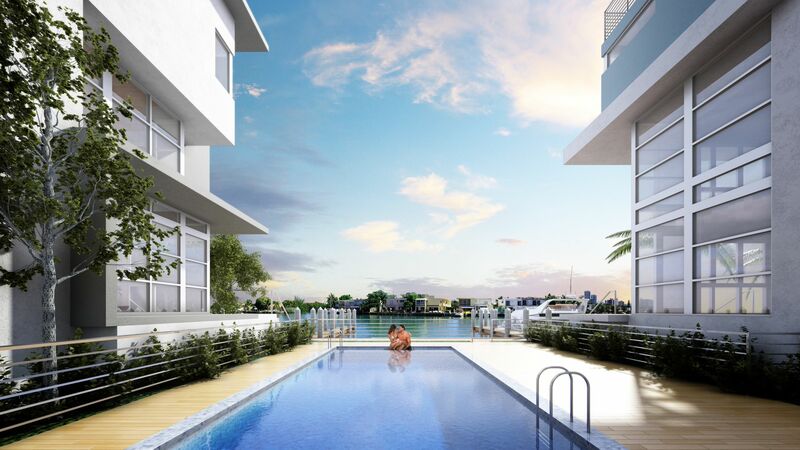 Only few minutes of drive separate residents of IRIS on The Bay from all exciting entertainments of South Beach.